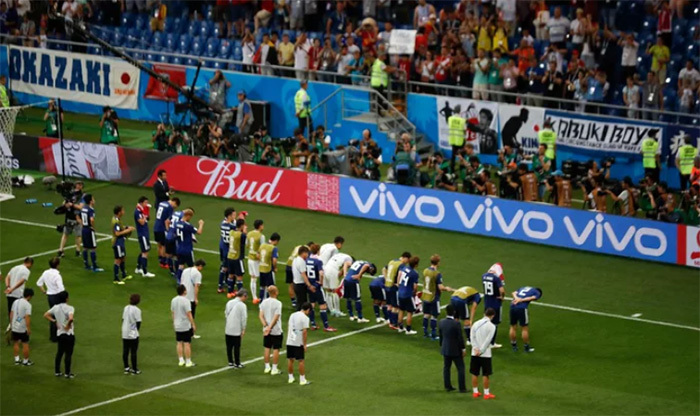 The Japanese national team showed outstanding sportsmanship and have proved to be the world’s classiest team after losing an absolute heartbreaker to Belgium in the World Cup. After the 3-2 loss, the players stuck around after the game and bowed to their loyal fans. The fans showed their appreciation as well by sticking around and cleaning up the stadium after the loss. The Japanese national team also did some cleaning. They left their dressing room spotless and wrote a “Thank You” note in Russian. Belgium may have won the game, but the Japanese players and fans have won the hearts of soccer fans around the world.